A Dutchman known as the “Indiana Jones of the art world” has found a Picasso painting that was stolen 20 years ago. Arthur Brand says the portrait was circulated in the Dutch criminal underworld for years after it was taken from a Saudi sheikh’s yacht in 1999. Dora Maar was Pablo Picasso’s lover and muse for seven years. The painting hung in his home until his death in 1973. He also won international acclaim in 2015 when he found Hitler’s Horses – two bronze statues by Nazi sculptor Joseph Thorak. The Picasso painting, he told news agency AFP, was circulated for years, “often being used as collateral, popping up in a drug deal here, four years later in an arms deal there”. “Everyone assumed it had been destroyed – that’s what happens with 90% of all stolen art, because it can’t be put on sale,” he told Dutch newspaper De Volkskrant, adding that after he recovered the painting, he hung it on his wall for the night “and thoroughly enjoyed it”. 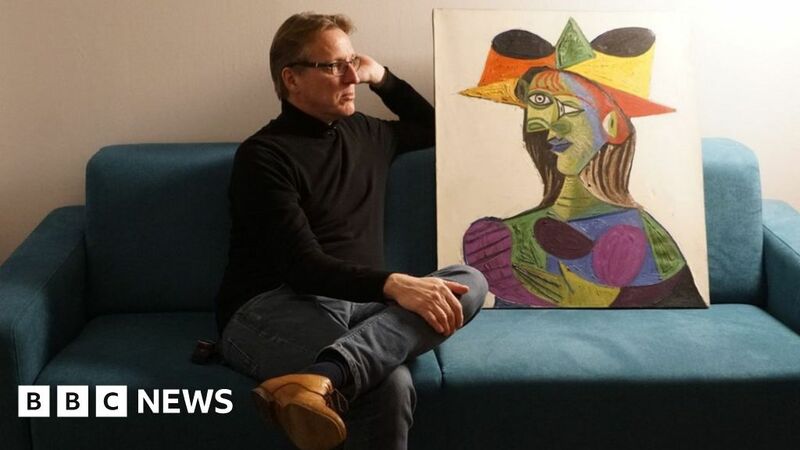 Mr Brand’s search for the stolen portrait began in 2015 after he heard that a “Picasso stolen from a ship” was being circulated among criminals in the Netherlands, although he did not know exactly which work it was. After several years of searching, Mr Brand worked out that the painting was Buste de Femme (Dora Maar) – also known as Portrait of Dora Maar. Dora Maar, who was born Theodora Markovitch in 1907, had been in a relationship with Picasso from 1936 to 1943. She died in 1997 at the age of 89. Police in France and the Netherlands have said that they will not prosecute the painting’s last owner. It is now being held by an insurance company, which will decide what to do next.